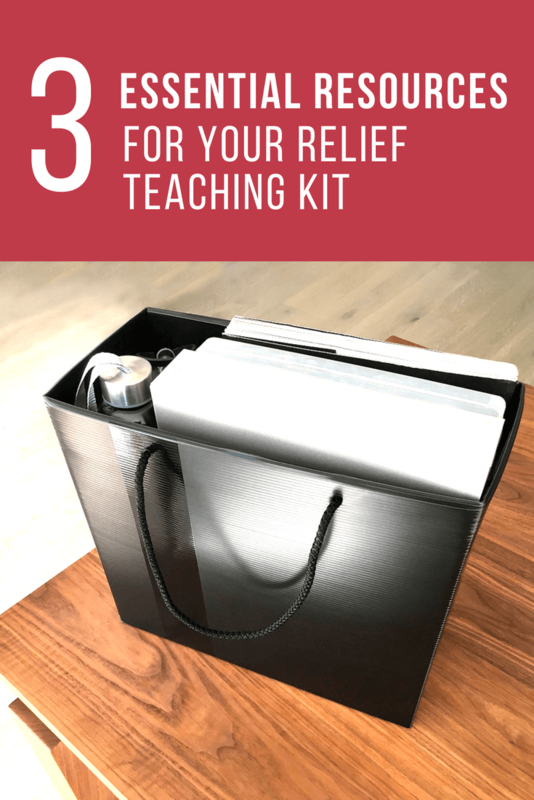 3 Essential Resources for Casual Relief Teachers - Build your dream kit! 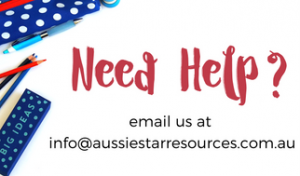 Previously I picked the brain of Nikki Tester from Oceanview Resources to find out the best ways to get started relief teaching and some hints and tips to manage behaviour and tricky situations. Now we're ready to get set up with a relief teaching kit that will ensure we're armed and ready to take on a day of teaching at short notice. What’s in your CRT kit? What are the top 5 items in your kit and why are they so essential? This YouTube video I made recently may be helpful​. I like to plan my units of work (if nothing is left) around a theme, and picture books. Eg if I am looking at the Ocean for stage 1, I have a collection of great books eg Whale And A Snail, One Is A Snail Ten Is A Crab, Tiddler The Story Telling Fish, and I link all of my daily or weekly activities around that theme. It really is easy to do. In a SMART Notebook presentation I have all the links to great websites on the theme hyperlinked so that I just need to click and go. Any worksheets I have that relate are kept in a folder to go with those books so at any time I have up to a month if need be. My personal care items are also included in my kit. anything that I may need but the school is unable to provide. I keep my thumb drives and my whistle on my lanyard. ​Do you have any funny or poignant stories about relief teaching? Hundreds of them!!! But one of the funniest (although not funny at the time) was when I planned an excursion to the beach…….but didn’t check the tide chart. Unfortunately it was a king tide and there was very little beach when we arrived. To make things worse there was a wave surge and we sat and watched as about 4 back packs got taken out to sea!! Luckily the bus driver was a legend and dived into action and rescued them all!!!! Note to self…..always check the tide chart!!!. 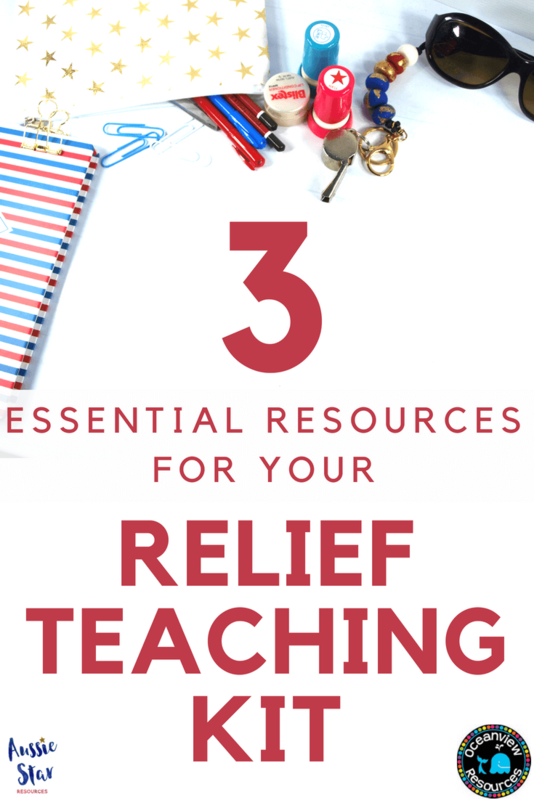 Promo time – tell us about your resources for Relief Teachers! 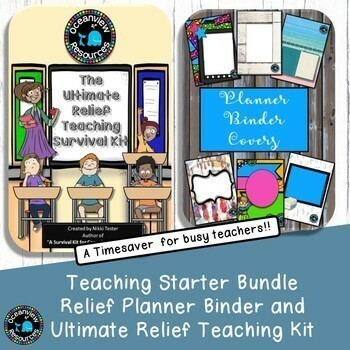 My Substitute Teacher Bundle - Planner Binder and Ultimate Sub Pack has been my biggest passion project/ resource taking over 6 months of constant work to compile and publish. It includes over 300 pages of printable master sheets you can use in the classroom for a variety of reasons from feedback, planning, number games and a whole host of ideas. I have also collaborated with some fantastic resource makers to compile this resource and they have generously allowed some free resources to be included in the kit. The remaining 270 pages are website links across ALL aspects of teaching from report writing, resume writing, finding resources and all subject areas. 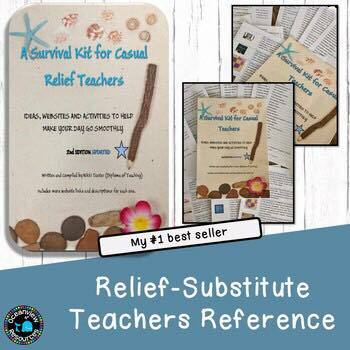 I have included everything I thought that an elementary/primary teacher might need as a basis for building a relief teaching kit. Have you bookmarked, pinned and saved hundreds of links? Do you promise that one day you will sort them out? This fabulous Relief Teacher Website Reference Guide may be the answer to your organisational dreams. It is designed to be an easy to use, interactive resource. It has been sorted into categories with links to provide answers and help for frequently asked questions posed in posts on Facebook and other social group forums. I'd like to thank Nikki for sharing her wisdom with me and providing invaluable help to relief teachers to make it a little less daunting and a whole lot easier. 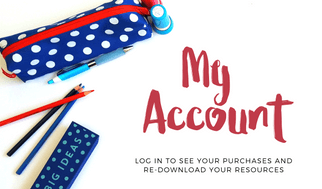 You can follow Nikki's TPT store by clicking here and you can click here to follow her on Pinterest where she has even more helpful ideas.